"I know how disorientating it can be when you find yourself on your own…" Roadside has debuted the official US trailer for the romantic comedy Finding Your Feet, directed by Richard Loncraine. The films stars acclaimed English actress Imelda Staunton as a "middle class, judgmental snob" who discovers her husband has been having an affair with her best friend. So she moves in with her estranged, bohemian, older sister Bif, played by Celia Imrie, and is dragged along to her community dance class where she starts to find some romance again. The full cast includes Timothy Spall, Joanna Lumley, David Hayman, and John Sessions. This looks like a humorous, stirring, slightly entertaining comedy from England about how dancing and good friends can inspire true love again. Plus it's Pettigrew and Umbridge together! Enjoy. You can still watch the original UK trailer for Finding Your Feet here, to see even more footage from this. On the eve of retirement a middle class, judgmental snob (Imelda Staunton) discovers her husband has been having an affair with her best friend and is forced into exile with her bohemian sister (Celia Imrie) who lives on an impoverished inner-city council estate. 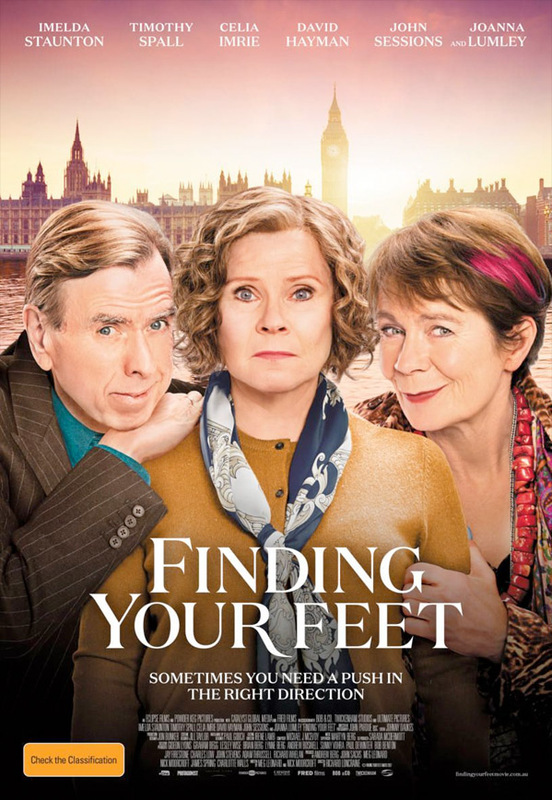 Finding Your Feet is directed by veteran English filmmaker Richard Loncraine, of the films Bellman and True, The Missionary, Richard III, Wimbledon, Firewall, My One and Only, 5 Flights Up and The Special Relationship previously. The screenplay is written by Meg Leonard and Nick Moorcroft. Entertainment One already released the film in UK cinemas last fall, and it opens in cinemas in Australia this February. Roadside Attractions will then open Richard Loncraine's Finding Your Feet in select US theaters starting March 30th coming up. Still interested in seeing this film?